Ah, the humble cup of coffee. Most of us take one or two in the morning to start the day off without even caring about the magic that happens inside that pot. As the world’s most consumed caffeinated drink, it’s become so common that for as long as you can brew, sip, and go on your way, everything is right with the world. This was the 1960s. At around the same time, halfway across the world, Japan has yet to discover Skinny Lattes and Flat Whites, but they’ve been enjoying an economic boom. With World War II now a fading memory, the country has taken a sudden interest in cars. This is when the Toyota Corolla came about. Since then, the world has run reliably on drip coffee and the Corolla; they just don’t realize it. Both of them have become so commoditized, that it’s probably kept world peace on more than one occasion while bacon took credit. Got a problem at work or with bae? You’ll most likely drive a Corolla to meet with a friend or colleague over, you guessed it, a cup of coffee. In as much as the Corolla and coffee have kept the world moving tirelessly in the background, there are some who want to bring them back to the spotlight. 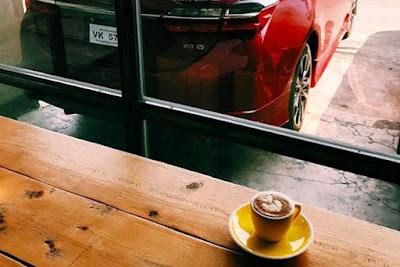 The world’s favorite breakfast beverage and the world’s best-selling car of all time have such a shared trajectory in history that it’s only fitting to explore how they’ve reinvented themselves from commodity to something much more together. Having arrived from 6 time zones, a coffee crawl seemed like the best way to shake off the jetlag. The night before, Toyota’s ever-reliable driver, Mang Ferdie handed me the keys to a Red Mica Metallic Corolla Altis 2.0 V. My initial thought that it was so red, it’s enough to keep me awake just staring at it. Admittedly, it’s hard to get excited about a Corolla, but goodness, these Toyota designers are doing something legit here. Aesthetically, it’s cleaner and sleeker. Toyota officially calls it the “Keen Look” and “Under Priority”, but it could have stood for “Espresso Shot” for all I care. The next day, after what felt more like a nap than genuine sleep, it was time to head down south to Paranaque City. On a Saturday, it meant an hour and a half drive from my place, including a stretch on the Skyway, which for all intents and purposes, served as the only one of two chances to truly stretch the Corolla Altis’s legs. Though it can’t quite claim any class-leading figures, it felt quite at home on this leisurely drive to the south. The first stop was Bowen 24 Café along President’s Avenue. One of the owners, Roxie Macasaet-Sanguyo explained that the name comes from her apartment address as a student as Australia. And the name was quite fitting since the relaxed atmosphere is reminiscent of a café down under, except in this case, the view is pretty much Puregold. And while Roxie can’t do much about the view, inside, the food’s homey and the coffee will pass the typically snooty Aussie standards. After being filled up on some good brekkie, it was time to hop back into the car and onto the next stop. Now, the Corolla Altis might as well have been a private jet since the next stop, Café L’usine is a Swiss-inpsired coffee house along Elizalde Avenue. Take note: though Waze said it’s just 2.6 kilometers from Bowen 24, it took us 30 minutes thanks to the horrendous traffic. Navigating through the one-way streets felt more like driving through Makati on a bad day than Paranaque on a weekend, but thankfully, the Corolla Altis managed fine. By the time we got to maneuver through the security gate (yes, you’ll need to leave an ID to get here), owner Revic Tantoco Rodrigo had already left (she did manage to come back just before we left). Still, the resident barista, Gio welcomed us. His level of energy felt like a guy who’s had far too much caffeine for one morning, but his quick wit and dry humor made us feel right at home. Brightly lit and finished with light wood furniture and unpainted cement walls, it feels like the polar opposite of IKEA (yes, that’s Swedish, so kill me). Now, since Café L’uscine partnered with the EDSA Beverage Design Group for their coffee, we were treated to a surprise coffee appreciation by Philippine Barista Champions Kevin Israel and Miko Simangan. Like how Kevin and Miko takes their ingredients seriously (they actually formulate their own water and measure each cup perfectly bean by bean), Toyota has taken quality to a new level with the refreshed Corolla Altis. From the driver’s seat, it feels as personal as having coffee prepared via pour over. The soft-touch dash inserts, rounded air conditioning vents, new climate and multimedia system all reflect a clearer step up in quality. Around a hour or so of Coffee Appreciation 101, willing guinea pigs and Toyota Motor Philippines (TMP) marketing peeps Jigo Vidanes and Raymond Ramos were certified caffeine fueled zombies. Yet, the intricacies of taste and aroma didn’t escape them. At this point, ask them the difference between Ethiopian and Kenyan coffee, and they’ll be discerning enough to spell it out to you using the floweriest words you could imagine. And though she remained relatively quiet on her coffee views today, the fact that Kevin and Miko bowed down to her says something about coffee royalty Jade Sison. The final stop of the day meant another chance to stretch the Corolla Altis’s legs on the Skyway for a hop to the Makati CBD. It made for the perfect place to hold a “this will never leave this car” type of conversation so prevalent of coffee meet ups thanks to the quieter interior. Exiting Makati, The Curator awaited. Located on Legaspi corner Carlos Palanca Street in Legaspi Village, The Curator has just been renovated in time for this coffee crawl. 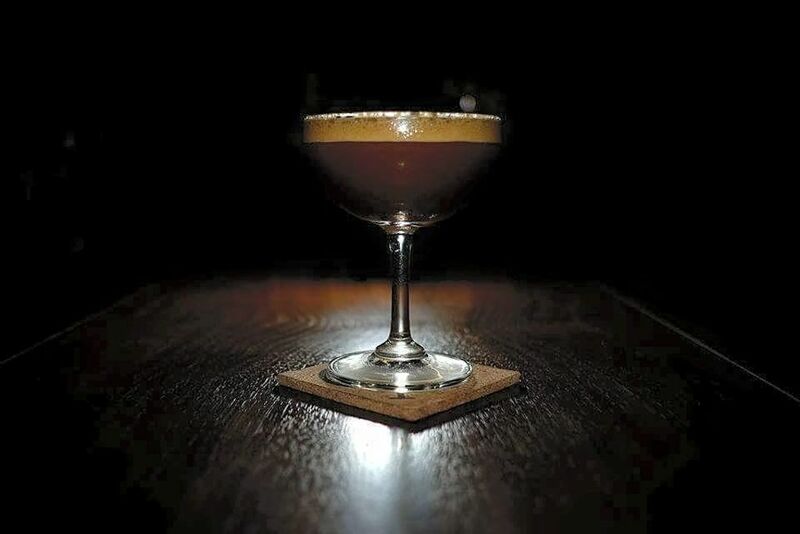 Owned by David Ong and Jericson Co, The Curator is a coffee and cocktail bar rolled into one. The shelves, stacked with liquor and whatever flavorings and concentrates, made it feel more like a mad scientist’s lab than a café, but it also showed that these people take their drinks (both caffeinated and alcoholic) seriously. Forgoing the usual choices, Jian served us some interesting concoctions including one which tastes better than it sounds: a mix of soda water, cold brew coffee, and a shot of espresso; or this: espresso, cold brew coffee, milk, and coco syrup. 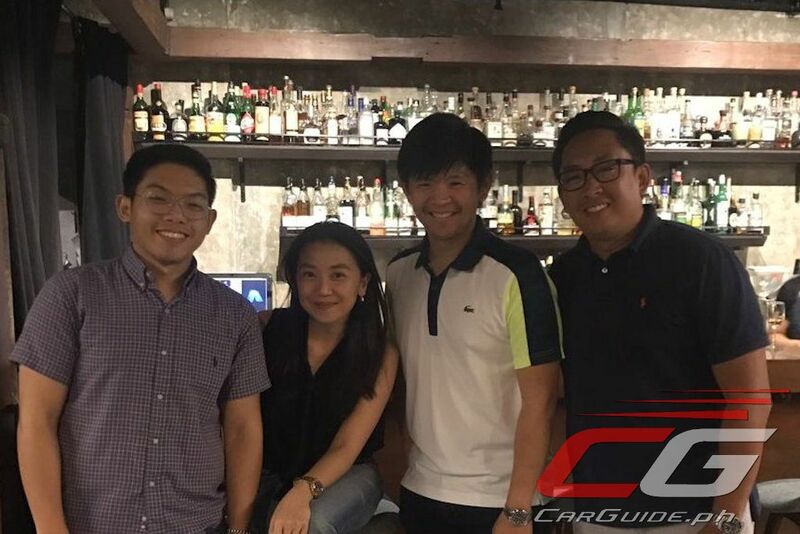 A surprise visit from TMP Assistant Vice-President for Marketing Carlo Ablaza capped off the perfect day. 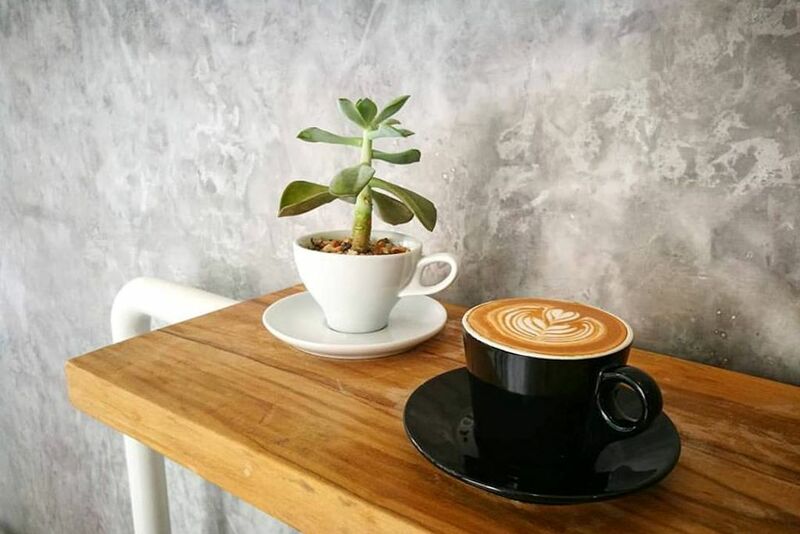 With 2.25 billion cups of it consumed daily, coffee could have easily been relegated to a commodity, but thanks to a growing movement worldwide, today, it resembles an art form. The same can be said about the Corolla Altis. Produced in 13 countries with over 1.3 million units sold annually, the world relies so much on it for their daily commute. And while it could have easily been the forgettable Point A to Point B car, it has responded well to Toyota President Akio Toyoda’s cry for “ever-better cars.” The Corolla’s transformation is steady, but incremental. And though we might not know what the future holds, one thing is for certain: there won’t be any bad coffee or boring Toyota cars. Additional Photos courtesy of Jade Sison, The Curator.